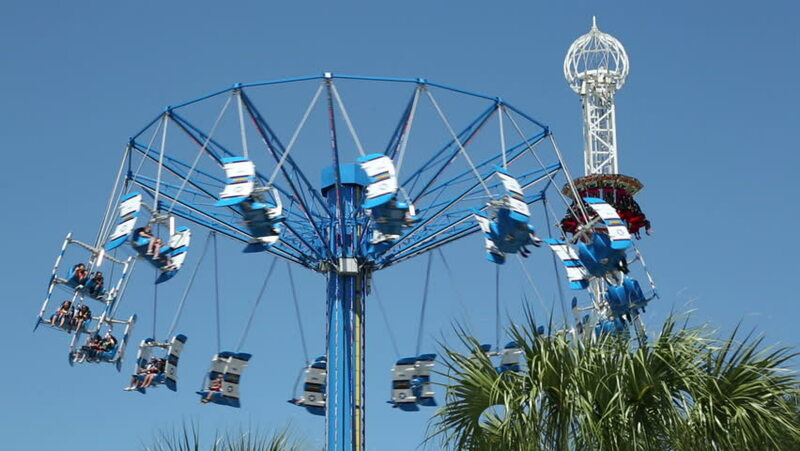 KEMAH, TEXAS/USA - MAY 8: Unidentified tourists ride the Drop Zone and Aviator at Kemah boardwalk on May 8, 2013 in Kemah. The Amusement Park was destroyed by Hurricane Ike in 2008, now been reopened. hd00:30ferris wheel and sun rays.